This is suitable for 1 adults. The Hammocks are made from Nylon Fabric and comes with an attached bag. Easy to carry and maintain. Each Hammock comes with a Braided cord Harness which is handmade. 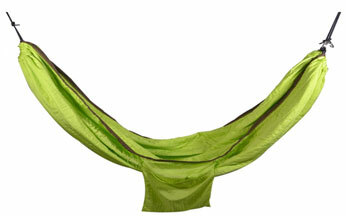 Unlike a Hammock with a spreader bar, the hammock takes shape of one’s body with a cocoon effect, making you feel very cozy and Fabric feels very comfortable.